Sprint Chief Network Officer, Dr. John Saw discusses what Sprint has accomplished in 2014 and what to expect in 2015, on his Sprint blog, Dec 17. Industry analyst Jeff Kagan offers comment. “When we read news stories about Sprint, they are mostly focused on the challenges they have faced over recent years, the new executive management, their changing strategy and what to expect going forward. That’s important of course, however it’s also important to take a look at what Sprint has accomplished in 2014 and what their plans are for 2015.” Says Telecom Analyst Kagan. “I think most would be surprised by the amount Sprint has accomplished in 2014. It may not have earned much media attention, but it does show quite a bit of positive momentum for the nations third largest wireless carrier. Their 2015 plans are just as aggressive. This is the result of work they have been doing and improvements they have been making over the last couple years.” Says Technology Analyst Kagan. Finishing the rip and replace of the 3G Network Vision deployment. Roll out Sprint HD Voice nationwide by July 2014. Expand their Sprint LTE Footpring across all three bands, 1.9 GHz, 800 MHz and 2.5 GHz. Reach 100 million people with their 2.5 GHz LTE by end of 2014. He says Sprint is excited to close out 2014 and jump into 2015 having met and in some cases exceeded these milestones. Saw says in July Sprint announced the substantial completion of the “rip and replacement” of their 3G 1.9 GHz network. He said they announced the roll-out of their nationwide High Definition or HD Voice giving customers a significant improvement in voice performance and quality. “I think it’s important to realize that Sprint has more than 24 million HD Voice capable devices in use in their customer base today. This is a brand new segment so this is very strong.” Says Tech Analyst Kagan. Sprint is ending 2014 by completing their nationwide deployment of voice services on 800 MHz which improves the coverage quality of their voice footprint, especially indoors. Sprint also now offers 4G LTE service in 552 markets which cover more than 260 million people. And they offer super-fast LTE data speeds using their 2.5 GHz spectrum which means they offer this service to 62 markets or more than 100 million users. “This is a high level of accomplishment which means Sprint has been reinventing itself over the last few years and it is all coming into focus now. So we could be getting ready to see some serious growth with Sprint in 2015. They just have to let the marketplace know in no uncertain terms, that Sprint is back.” Says Kagan. Dr. Saw says their focus going forward into 2015 is on providing customers with a network that works where and when they want, which a consistent experience and improved voce quality and data speed. He says today Sprint customers are seeing solid improvement in network performance and points to RootMetrics findings in the second half of 2014 showing Sprint earned a meaningful year over year improvement in network performance. Read the Dr. John Saw Sprint blog post for more information. 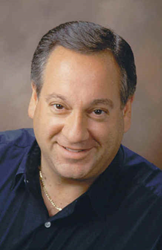 Jeff Kagan is an industry analyst, consultant, columnist, author, keynote speaker and futurist. He shares his opinion and views in many different ways over 25 years. His goal is to help you better understand our changing world, technology, industry and competition. He is regularly quoted hundreds of times every year by the media. In fact tens of thousands of times over the last twenty five years. Kagan writes two weekly columns and a daily press release on companies, technologies, competition and the changing industry. He offers comment on wireless, telecom, Internet, cable television, IPTV and other tech news stories including Mobile Pay, Cloud, Internet of Things or IoT, M2M and more. Kagan is known as a Technology Analyst, Tech Analyst, Wireless Analyst, Cloud Analyst, Smartphone Analyst, Telecom Analyst, Telecom Industry Analyst and Principal Analyst. He is also a keynote speaker and public speaker. His speeches are on topics including State of the Industry, challenges and opportunities, changing technology, competition, services, winners and losers, why and what we can expect going forward. Companies and Clients: Contact Jeff Kagan to discuss setting up an “analyst briefing” or becoming a consulting client. Visit his website: at jeffKAGAN.com to learn more. Full Disclosure: Jeff Kagan is an independent industry analyst. He offers comment to the media on breaking news, announcements, technologies and the changing marketplace. He also writes columns and press releases offering comment, and is an author and speaker. Kagan earns a living as a consultant, analyst, speaker and author.